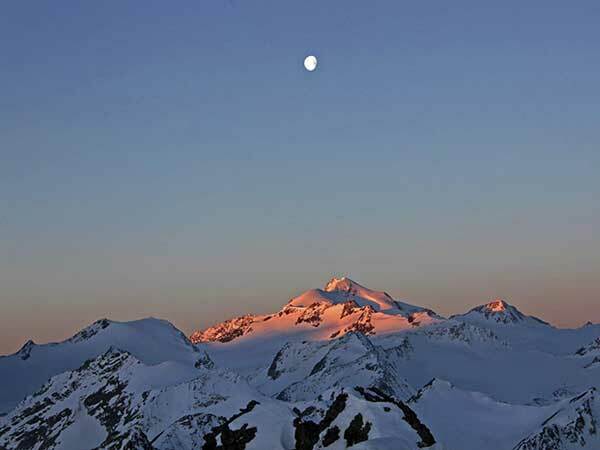 Five days, five peaks higher than three thousand meters and heaps of memorable moments. 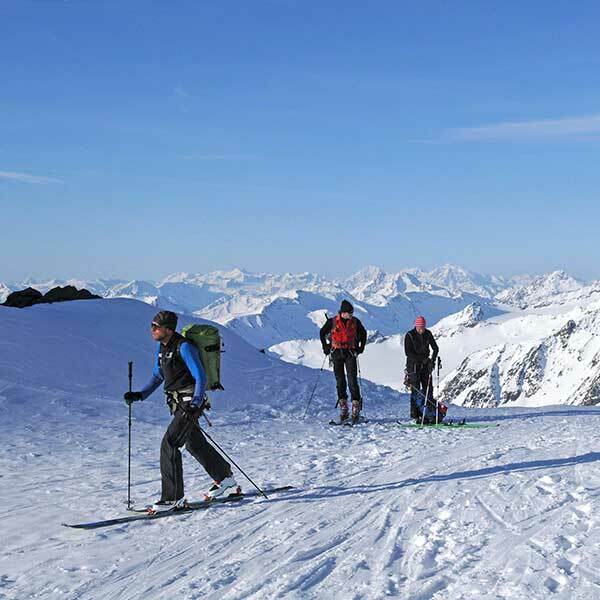 The unparalleled Vent Loop Tour for ski mountaineers ranks among the most renowned Alpine crossings of the Eastern Alps, replacing the classic Ötztal Loop Tour. 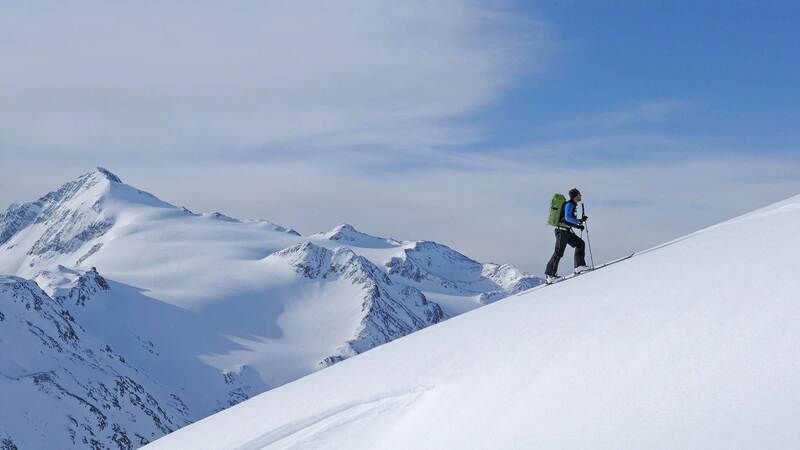 A fabulous ski mountaineering trail offering a great variety of secluded variant routes. You never stop learning, even after many years of mountain experience. 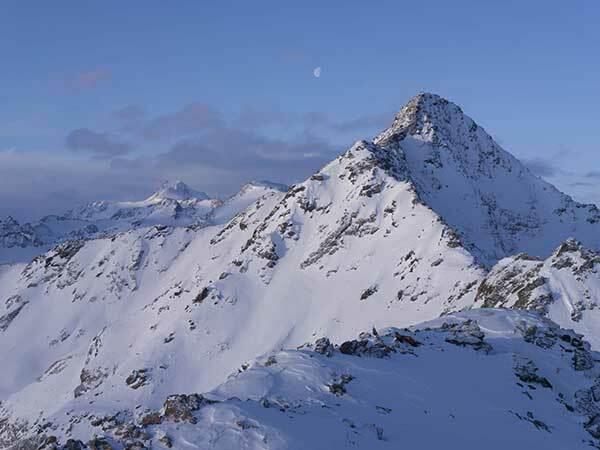 For example, I made my first Vent Loop Tour in March 2004: on the long and permanently climbing ascent from Vent to Martin-Busch-Hütte and further on to Similaunhütte you get in close touch with the fascinating Ötztal Alps and their breathtaking landscapes. At Similaunhütte the summit of Similaun seems within easy reach – but there is still a very challenging and steep ascent to conquer. Maybe my legs are already a bit exhausted, maybe I am too involved with the capturing stories of my mountain guide Alois Pirpamer. He was the first who told me that some of the really huge crevasses, covered by snow masses, have a name! 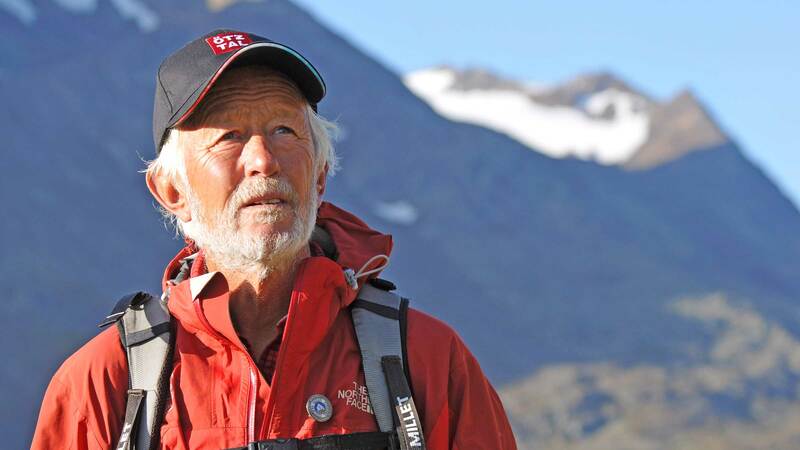 Suntanned face, white hair, grey beard: the already deceased Alpine guide was a perfect example of a mountain aficionado. He lived with passion for and in the mountains all his life. He made every ascent a special adventure, also thanks to his fantastic stories. On our tour towards Similaunhütte and Fineilspitze peak we walked past the Ötzi Monument. And what’s best, Luis was also involved in the recovery operation of the world’s oldest glacier mummy dating back some 5300 years. “When we saw the equipment and other findings, we were sure that the body was lying there for a very long time. But we would never have guessed that he would become such a big attraction – in addition to our beautiful mountain summits,” Luis explains. It was a true pleasure to conquer the entire loop route with Luis in only five days on occasion of a detailed “Panorama” report (Alpine Association Magazine): Ötztal’s classic 3000-meter high peaks are Similaun (3599 m), Fineilspitze (3514 m), Weißkugel (3738 m), Fluchtkogel (3500 m) and Wildspitze (3768 m) – a gorgeous ski mountaineering tour amid untouched nature off the beaten tracks! After an almost endless downhill stretch of many kilometers on the Hintereisferner glacier moraines, the quaint hut resembles an oasis amidst the desert, offering shelter and homeliness. The hut is run by his son, Thomas Pirpamer. On the splendid Vent Loop Tour you’ll leave behind the worries of everyday life after a few minutes. 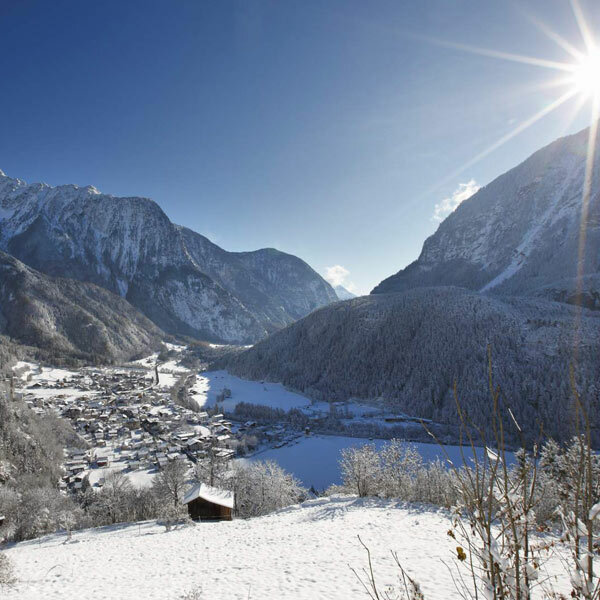 Instead you can indulge in the picture-book Alpine winter scenery. That was exactly the reason why I returned with a Bavarian film crew four weeks later, producing a mountain film (“Bergauf-Bergab” in German) focusing on Luis and the Vent Loop Tour. It took nine years before I returned once again for a “Panorama” report. 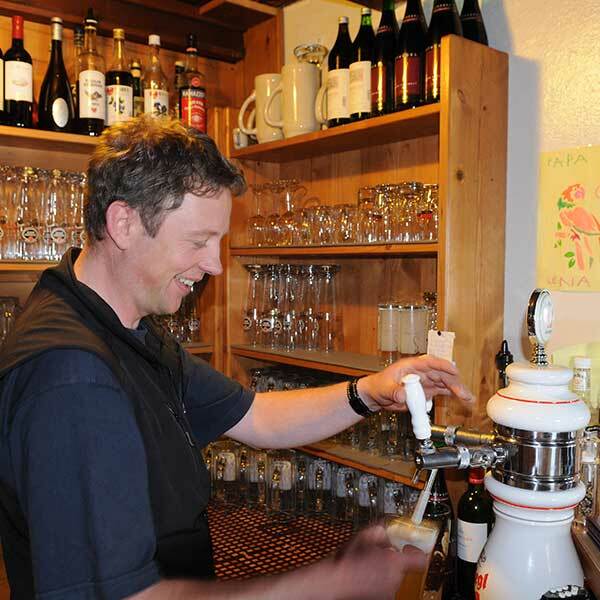 This time I enlisted Paul Walser, a young mountain guide from Obergurgl. A real mountain enthusiast and excellent skier always looking for new challenges – even on the unrivaled Vent Loop Tour. Of course, you can follow the classic route and you won’t meet the crowds. 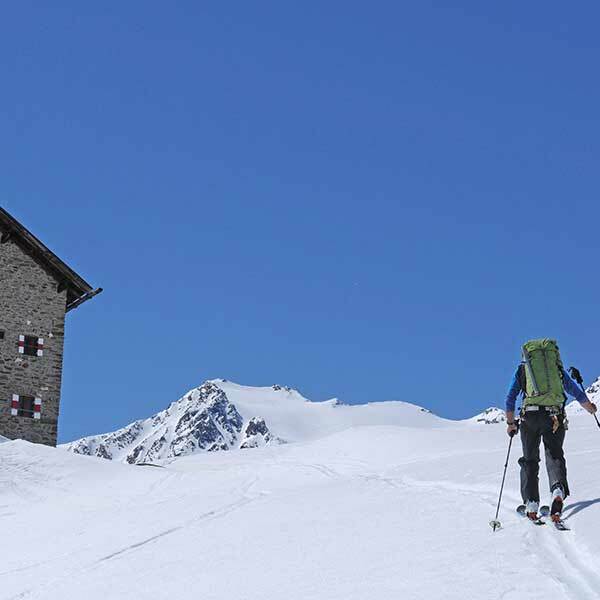 But it’s really worth to tread new paths in this endless world of snow, ice and marvelous ski mountaineering routes at the rear end of the Ötztal Valley. Guided by Paul Walser, I discovered a huge range of alternative routes just next to the regular Vent Loop Tour stages. Wonderful stretches apparently overlooked by the rest of the ski mountaineers. Marvelous faces just perfect to leave the first traces on pristine slopes. 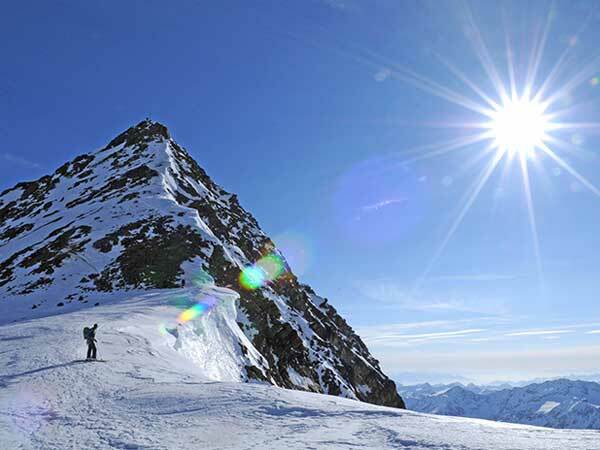 Therefore – at the very end of the tour – we take our skis and carry them to the big summit cross on the southern peak of Wildspitze. After a short traverse we choose the isolated northern peak and its fantastic downhill route to Vent. Skiing down on the narrow north-western ridge, on the edge of the fairly steep north face, we carefully head towards the saddleback. After a few more turns in northern direction, the terrain opens up a bit and we can traverse the rocky fissure leading below Wildspitze’s mighty north face. Another short ascent, then we ski down to Rofenkarferner glacier offering superb corn snow slopes in spring. Compared to the classic downhill route via Mitterkar, this variant is much more rewarding from a skier’s point of view. This almost endless downhill slope with some 2000 meters of altitude difference is the icing on the cake! To complete the highly adventurous Vent Loop Tour we enjoy a well-deserved rest stop in Vent. More details on the Vent Loop Tour for ski mountaineers are available HERE. 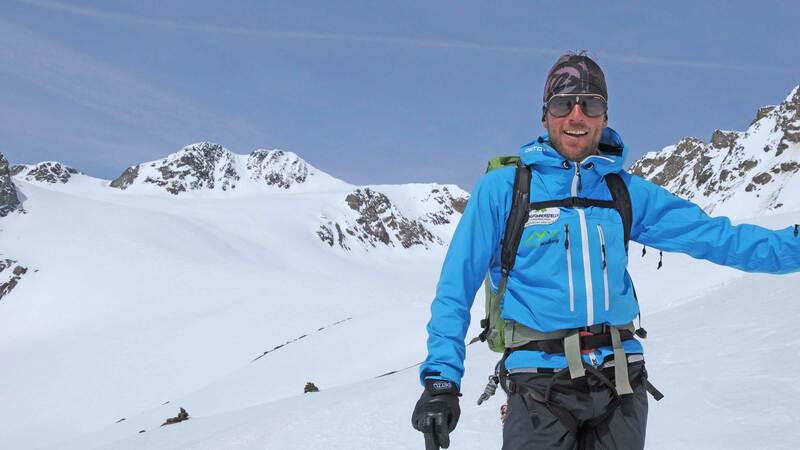 Stefan Herbke (www.bergbild.info) is a real ski mountaineering enthusiast, he loves multi-day crossings and long downhill stretches on pristine slopes. 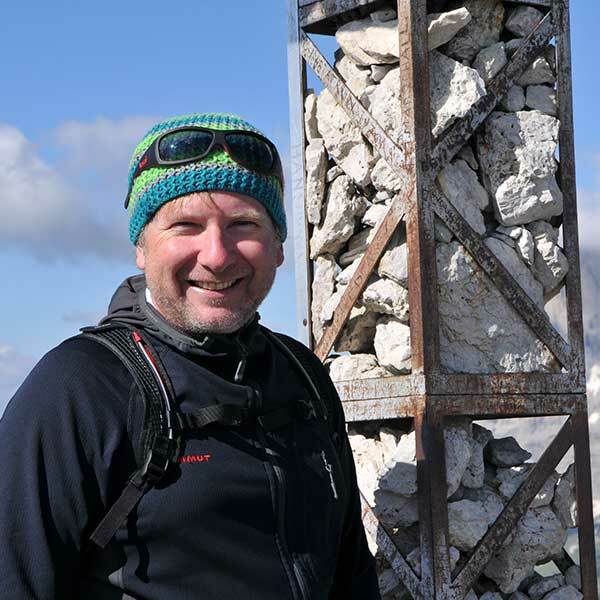 As an Alpine journalist, he has been writing and taking photographs for all important mountain magazines. Additionally, he published several ski tour and hiking guides.